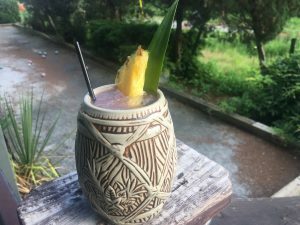 Conveniently located just off the BeltLine in the Old Fourth Ward, strollers and imbibers alike are invited to sip on TWO urban licks’ Mai Tai Slushy in honor of National Mai Tai Day on Saturday, June 30, 2018. 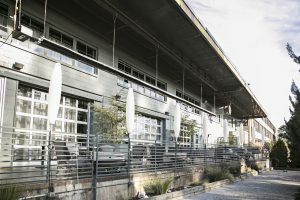 Perfect for a gal date or a group of friends, this summertime favorite is the go-to drink to have in hand while watching or playing a rousing game of bocce ball on TWO’s spacious outdoor patio. After enjoying this tasty libation, hungry guests can also nosh on Executive Chef Michael Bertozzi’s larger than life fiery menu including Salmon Chips, Baked Oysters, Hush Puppies and much more. Using a refractometer, adjust Brix (measurement of sugar in an aqueous solution) to 14 degrees. Add water to lower brix, grenadine or simple syrup if higher Brix needed. When desired sugar content is achieved, then set machine to freeze. Garnish with Pineapple spear, lime wedge, umbrella or anything fun for garnish. Serve and enjoy! Located at 820 Ralph McGill Boulevard in Atlanta, Ga. 30306. For reservations and more information, call 404.522.4622 or visit twourbanlicks.com. In addition, stay connected on Instagram and Twitter at @twourbanlicks and on Facebook at Facebook.com/TWOurbanlicks.